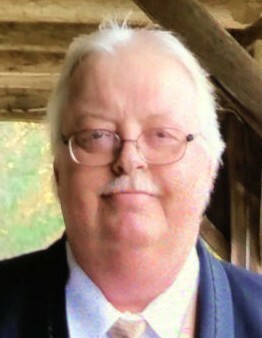 James Wesley “Jimbo” Adkins, 60, of Indianapolis, IN, passed away on Friday, February 1, 2019 at Manor Care in Indianapolis. Born December 11, 1958 at Kimper, KY, he was a son of the late Arthur & Margie “Harmon” Adkins. In addition to his parents, he was preceded in death by his wife: Julia Adkins, and a nephew: Shawn Clifford. Jimbo enjoyed fishing, going on picnics, and playing cards. He was of the Baptist faith. Those left to honor his memory include one son: Jonathon (Mandy) Adkins of Defiance, OH; one daughter: Christina Adkins of Defiance, OH; two brothers: Arthur (Karen) Adkins, Daniel (Glenda) Adkins, both of Defiance, OH; two sisters: Nancy (Daniel) McCarthy of Indianapolis, IN, Debbie Adkins of Defiance, OH; three grandchildren: Alicia, Mason, Dakota; and a host of family & friends. Funeral services will be conducted at 12:00 Noon Wednesday, February 6, 2019 at Cedar Bottom Regular Baptist Church, Kimper, KY with Elder A.B. Thacker & others officiating. Burial will follow in the Harmon Cemetery, Kimper, KY.
Visitation will begin at 6:00 P.M. Monday at the church with special services Tuesday at 7:00 P.M.